When I visited Ireland, I saw dolmens in Connemara and the Burren. 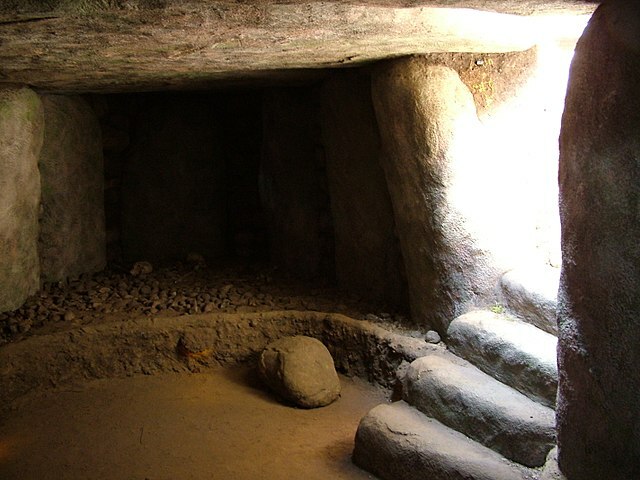 They are a kind of megalithic tomb. There are actually quite a lot of dolmens. They are all over the world. 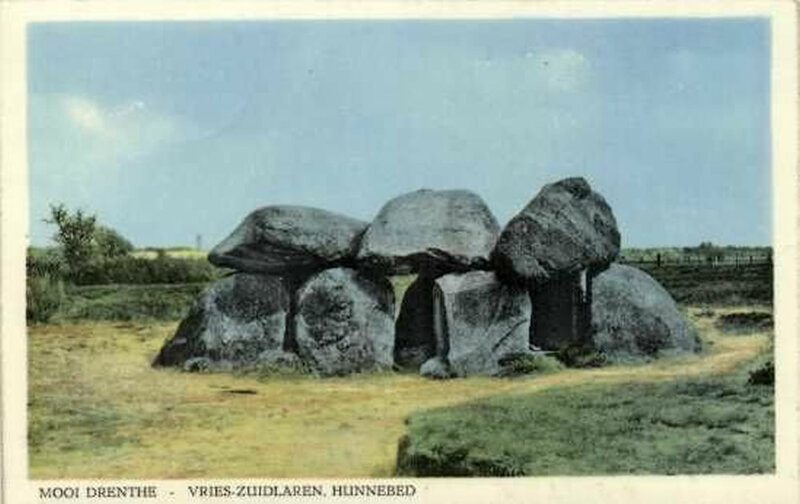 Hunebedden are chamber tombs dolmens in the Netherlands. “Hunebedden” means Giant’s Bed. 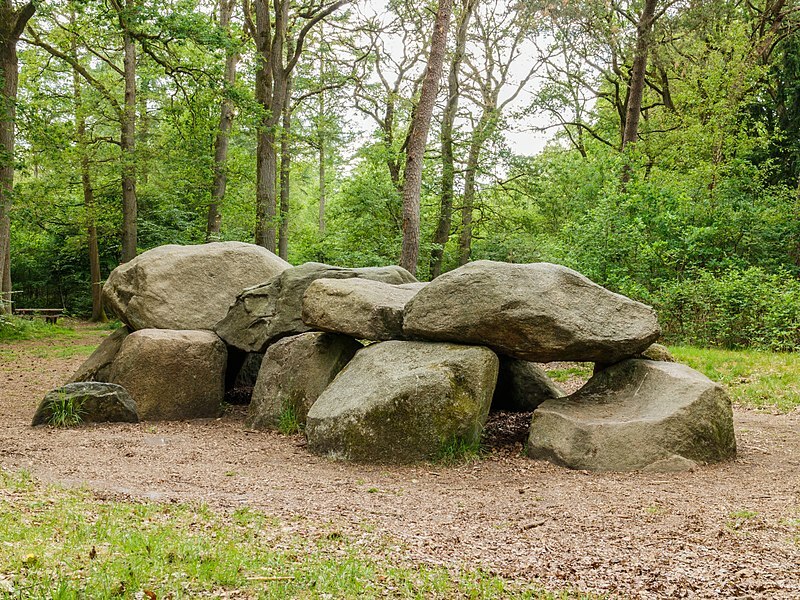 Hunebedden are chamber tombs dolmens in Drenthe in the Netherlands. You can see the Hunebedden in the Netherlands in a 3D atlas using photogrammetry. The Province of Drenthe and the University of Groningen collaborated, subsidized by the Gratama Foundation. 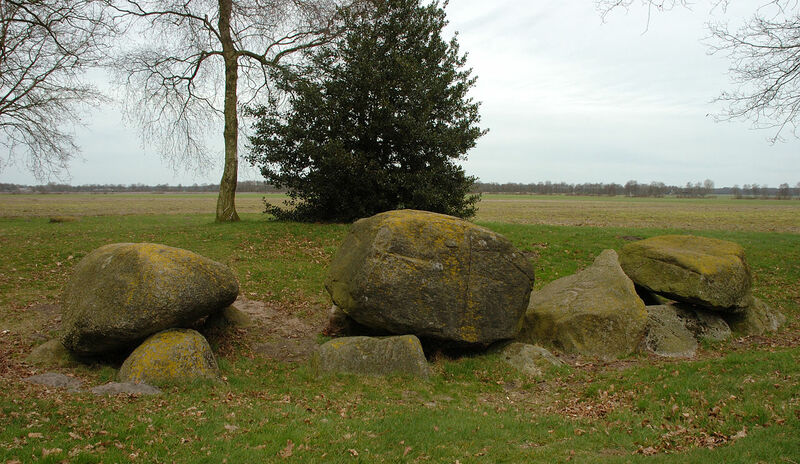 Drenthe has fifty-three Hunebedden dolmens that have been preserved. Hunebedden Centrum Borger museum tells the story of these mysterious megalithic tombs and the people who built them. Hunebed 011 Borger, the largest of the Netherlands. 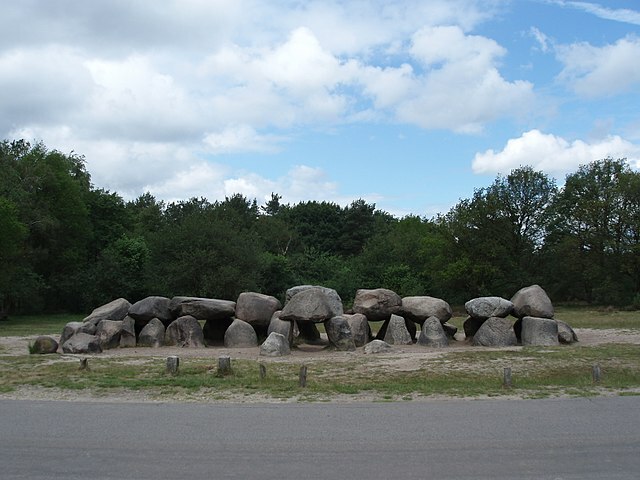 The largest dolmen in the Netherlands, near the village of Borger, is 70 feet long. It consists of 47 huge rocks. One of the capstones is some ten feet long and weighs 20 tons! There is no written history, so we really don’t know. We can tell they were a communal burial tomb. What we see is just the skeleton of what they built. Scientists believe that when these were built, they were out of sight under a mound of sand or earth. They were built with boulders moved from Scandinavia and left by glaciers. The stones weigh tons. The Hunebedden are aligned east-west with the entrance on the south. The stones were most likely moved on wooden rollers. They probably built a ramp of sand and clay, to move the capstones up onto the uprights. The openings between the rocks were closed up with chunks of stone and the floor was paved with stone. July 21, 1734 enacted a law to stop people from taking the stones. They were being used for buildings and dikes. Archeologists have been examining the sites since at least 1912. They have found a lot of artifacts. 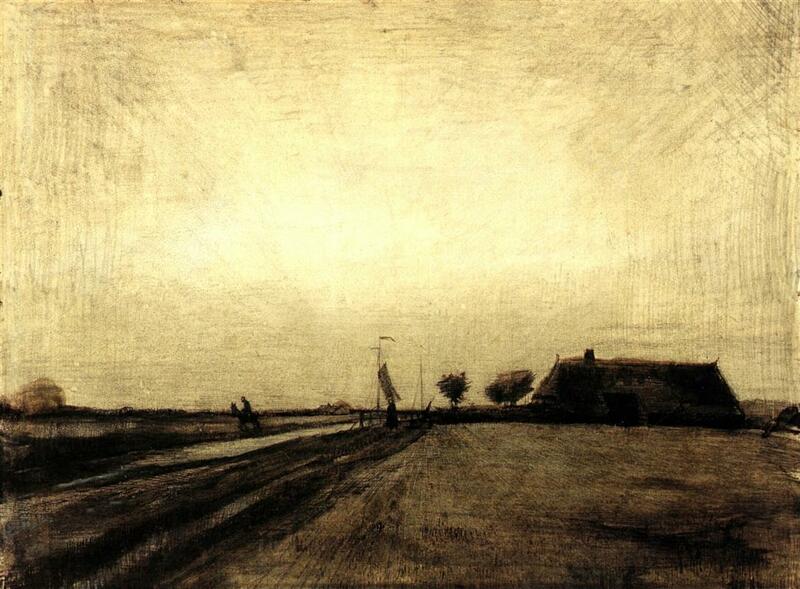 Vincent spent three months in the Dutch province of Drenthe in the autumn of 1883. There are only seven surviving pictures from this period, but van Gogh’s said his time in Drenthe made a lasting impression on him.